Fear Itself was an interesting documentary that charts a thematic history of horror cinema exclusively through a parade of film clips. There is a nominal plot about an insomniac who has been the victim of a traumatic experience who now finds solace in the catharsis of old horror films. Clips are often chosen to match her voiceover throughout the film, which usually fit quite well. However, it is difficult to pay attention to the wandering voiceover, as interesting as it sometimes is, when there is so many clips playing out in front of it. The clips are helpfully titled so that you don’t waste time trying to figure out the films. It is a nasty, relentless and effective montage, but it is hard not to think that little has been gained. Listen Up Philip is another film that achieves little. At the beginning of the film, we hate Philip. In the middle of the film, we hate Philip. At the end of the film, when it finally relents, we still hate Philip. Alex Ross Perry’s script is literate alright, but it isn’t particularly human. Its target is clearly a kind of literary snobbery but, unlike Scorsese’s gleefully shameless and inventive challenges to audience identification, Listen Up Philip simply wallows in bitterness and nastiness. It ends up if not a hateful film then at least a very boring one. Another film that bores with one idea throughout is (and I will be trying to link each film as thinly as I can) The Spongebob Movie: Sponge Out of Water. Unlike Shaun the Sheep Movie, which has as many mad ideas as good, solid jokes, Sponge Out of Water’s primary register is shrill craziness and it remains so throughout. It isn’t that it is never funny (there are a few small moments) but it is so overblown and strange that it rarely has time to make us believe in any of it – all right for a fifteen minute episode but barely survivable for ninety minutes. It doesn’t help that the few actual jokes are pretty lazy. Any good will you might have toward Spongebob will be exhausted. 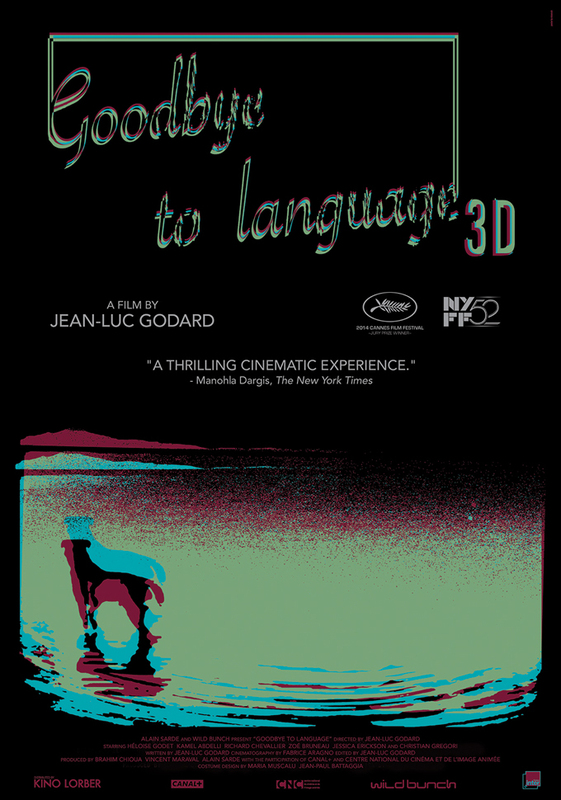 Another film that might leave you incredulous and exhausted is Jean-Luc Godard’s Goodbye To Language, which defies all categorisation, all simplistic synopsising and most first impressions. The first viewing leaves you clueless, the second gives you a slight thread and in the third, you lose that thread but find another one. It is an examination about the way we think and the way we are brought up to think through language, challenging the conventions of language by some highly complex editing. It is a political film, an historical film and a modern paean to love and nature. And the main character is Roxy, a dog. Most reviews of the film, which went straight to DVD in the UK, focus on the critic’s own incomprehension, but I believe that it is a film to be studied and that each subsequent viewing reveal more. I fully intend to review it properly when I get to it in my ‘Les politiques de Godard’ series. Last of all was the mini-series Show Me A Hero, The Wire in miniature and an excellent drama about housing, local politics, race, class and the media. The anger of its critique, the honesty of its drama, the power of the performances, the cleverness of the script, even the final shot, all make it the best thing on TV in 2015.